Actor Alan Alda attends the 2017 SeriousFun Children's Network Gala at Pier Sixty at Chelsea Piers in New York City in May 2017. For many, hearing the word “Parkinson’s” conjures an image of tremors. But Parkinson’s disease, brought about by loss of nerve and other brain cells, is actually an incredibly complex movement disorder that can cause symptoms as wide-ranging as smell loss, thinking issues, depression and swallowing problems. More than 1.5 million people in the U.S. have the illness, and millions more loved ones and caregivers are affected by it, too. Actor Alan Alda announced July 31 that he is one of those. Alda has been living with Parkinson’s for more than a year. He stressed in his announcement that he has been living a full and happy life. He is not alone. Thanks to medical advances and better treatments, both patients and physicians understand that Parkinson’s is a livable disease, and that people with this condition can be happy, healthy and successful. And yet, there is a critical shortage of doctors trained specifically in how to treat Parkinson’s disease. Only 40 to 50 new Parkinson’s specialists – neurologists with fellowship training in the disease – go into practice each year across this country. And according to national doctor fellowship match data, this number has been relatively flat for the last five years. This shortage could worsen as the 70 million baby boomers age, as Parkinson’s typically afflicts older people; the average age of diagnosis is in the early 60's. I wrote an article which provides an update on current treatments of Parkinson’s disease for the Journal of the American Medical Association last year. A key takeaway of my article is that there are many treatments for Parkinson’s, and some patients are going to live for 10, 20, 30, even 40 years with the disease. Also, as national medical director of the Parkinson’s Foundation, I have come to realize that there is a gap between how physicians manage Parkinson’s in clinics nationwide and what we actually know from evidence and from experience in treating this disease for many years. In particular, many generalists remain unaware of treatments beyond the standard use of medications that have been used since the 1970s, and there is a lack of appreciation for the importance of the timing of medication dosages. We know from the scientific literature that patients who see even a general neurologist have lower rates of morbidity, mortality and nursing home placement. But given that the majority of Parkinson’s patients are under the care of general practitioners, internists and family medicine doctors, how do we help all of those who are affected by Parkinson’s? Based on studies that show that people are living longer with Parkinson’s, one of the first messages we need to impart is that life is most certainly not over. A second important message is that new medications can and do make a difference. These findings underscore the necessity of having doctors trained in Parkinson’s. For example, there is a myth that when you diagnose Parkinson’s, you prescribe a medicine called carbidopa-levodopa (also called Sinemet) three times a day, and that’s all. But Parkinson’s is an incredibly complex disease with more than 20 motor and nonmotor features. The idea that dopamine, the main active ingredient in carbidopa-levodopa, is the only drug and the only treatment and there’s nothing more you can do – that’s a myth. This is something we must make sure to emphasize and educate doctors in training and those seeing these patients in practice. Many patients in my practice improve with exercise therapy and several have used acting techniques to improve the masking of the face and the movement features. 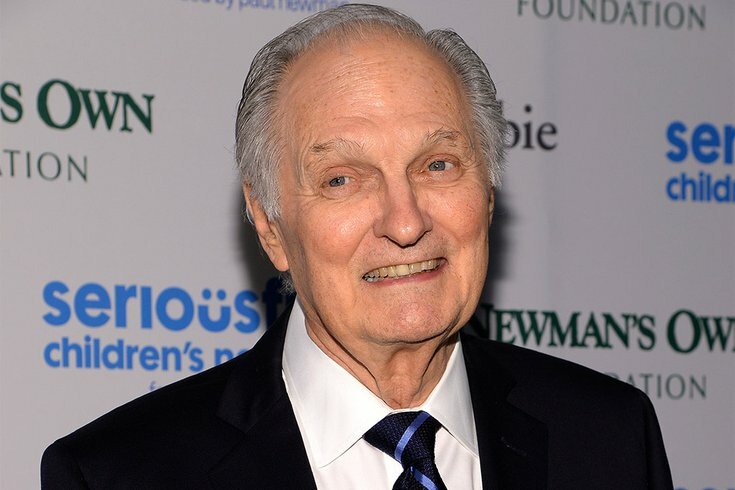 It is likely that Alan Alda’s acting and improv program for autistic children will also benefit Parkinson’s. In my JAMA article, I tried to lay a framework for the different phases a Parkinson’s patient may go through and the many types of treatments that are available today. We now know, for example, that in the early phase of Parkinson’s, specific exercises can be just as important, if not more important in some patients, than medications. Understanding the options and windows of opportunity can be the difference between success and failure. We also now know that the timing of medications is critical and in many cases needs to be exactly aligned to particular hours of the day. In addition, some patients see benefits by changing drug dose, adjusting medication intervals and possibly the addition of one of many other drugs. There are windows of opportunity for some patients where great benefit may result from surgical therapy. These include deep brain stimulation or the use of an externally worn pump that infuses a gel formation of a dopamine medication directly into the small intestine, which is a newer therapy approved by the FDA two years ago. But the physician must be aware of what those windows are, and who are the patients likely to experience benefit. In other words, we must tailor the treatment to the patient. What’s more, in Parkinson’s disease there is the possibility of an array of nonmovement-related symptoms, such as speech problems, hallucinations and depression. These nonmotor symptoms are commonly more disabling than the motor symptoms such as tremor or stiffness. Today, experts are involving social workers and counselors and also commonly using antidepressant and cognitive enhancers in their care. As a field, we need to better understand that Parkinson’s patients have many choices of therapies and this is a compelling reason why special Parkinsons’ doctors are needed. When treated appropriately, we really can make this a livable condition. We need to educate more general practitioners and general neurologists on the basics of tailoring care for Parkinson’s disease, and we need to dedicate more money to training more Parkinson-specific neurologists. There is more reason for hope for patients of Parkinson’s and their loved ones, and every Parkinson’s patient should have a tailored plan which will ensure success and a happy life. We need to make sure we have enough doctors specifically trained to meet the needs of a growing patient population. This story is updated from its original version, which ran. Sept. 7, 2017.